Help! I can’t stop using the white powder (sugar, silly) – What do I eat now? 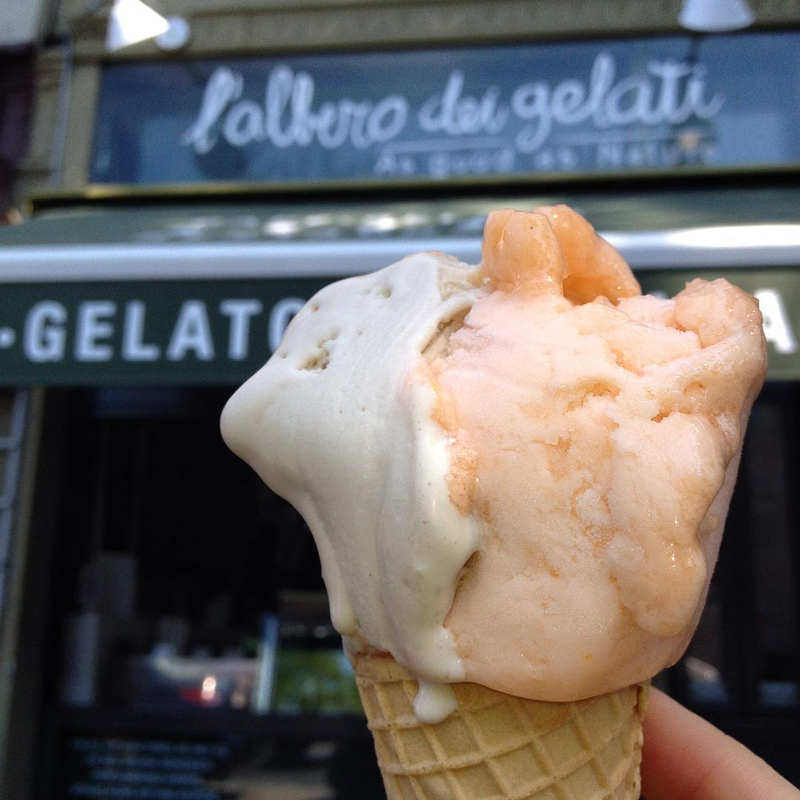 Hazelnut and organic local cantaloupe gelato waffle cone from L’Albero Dei Gelati in Park Slope, Brooklyn, NYC. 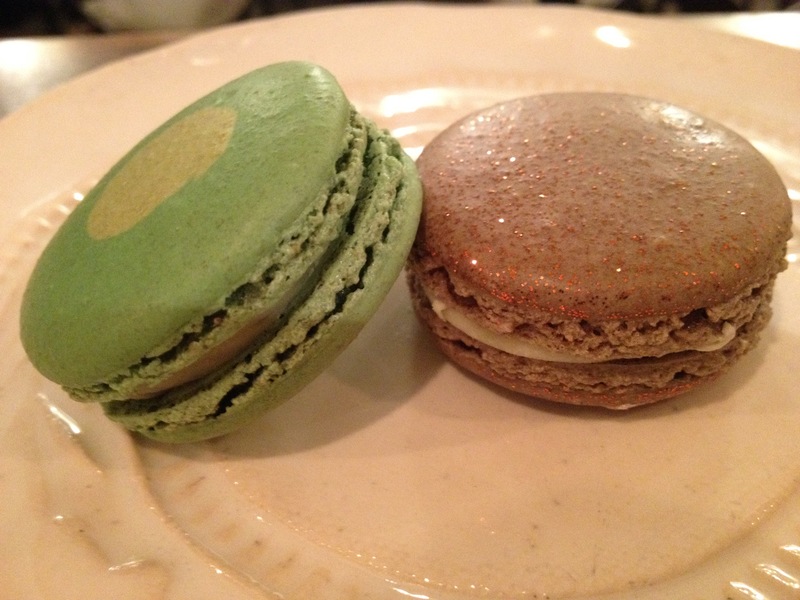 Cucumber-mint and lavender-apricot macarons from Bosie Tea Parlor in West Village, NYC. … or those 100 Grand candy bars that combine mass-produced milk chocolate with gooey caramel and puffed-rice crunch. Did I ever mention what this blog is supposed to be about? After weight loss, there’s maintenance. Here’s how to maintain the healthy lifestyle, body and fitness you’ve (I’ve) achieved: (insert wisdom). You see, I lost a bunch of weight more than five years ago, and the active, healthy — yet not rigid — new lifestyle curbed my craving for the white devil, i.e. : sugar. Before bedtime, I would savor one Dove Promises dark chocolate morsel and read the endearing/witty message inside the foil wrapper and feel like I had a treat. I would eat the actual suggested portion of no-sugar-added ice cream with equal parts fresh fruit on top, sometimes with nuts. A shared dessert once in awhile when dining out with friends was still a thing. But I didn’t crave sugar. Now I do. All the time. It happened slowly. The Sugar Monster found a crack and has been picking at it, prying it open to flood my system with short-lived ecstasy, followed by post-cookie regret, belly bloat, shame, weight gain, guilt, insomnia, exhaustion and mood swings. Sugar high, crash and coma? Oh yeah, I know it. I also know sugar is addictive. And artificial sweeteners are worse. So I’m calling on you, dear readers, to watch me take this lumpy road to sugar liberation. I’m not sure whether the gradual elimination approach or the drastic all-or-nothing way will be most effective. I suspect the latter. I’m kinda like that. But chill out. I’ve created cool, creamy dessert substitutes that worked in the past, like frozen bananas food-processed with cocoa powder and peanut butter. 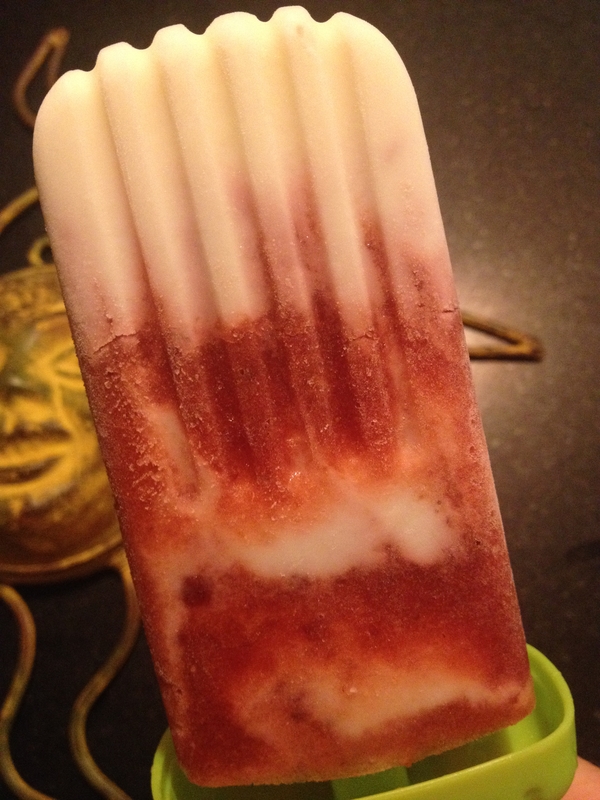 Or my latest treat: Greek yogurt cherry-strawberry popsicles, but with Stevia instead of sugar. 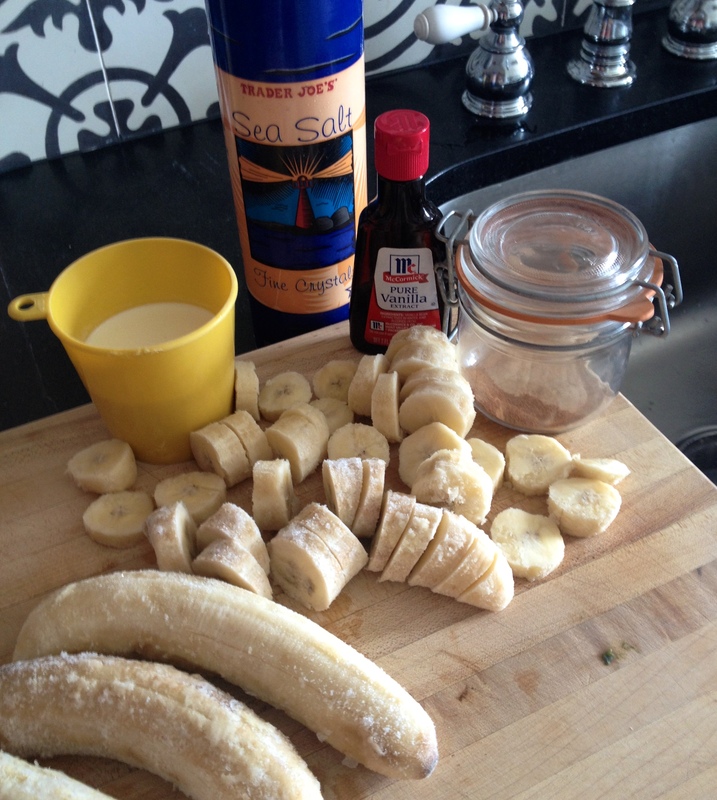 Another version of using frozen bananas as ice cream: Add milk, vanilla, cinnamon and a pinch of salt. Blend in a food processor. Consume. My Greek yogurt cherry-strawberry popsicles were inspired by a recipe on SmittenKitchen.com. So now I’ve said it. Whew. That felt good. Almost as good as that cantaloupe gelato caressing my panting tongue. But come to think of it, cantaloupe itself is a satisfying summer sweet. For real! You know what else is sweet? Success. Freedom. Achievement. Those long-lasting, sustainable rewards that make me feel good the morning after. Pingback: What Can I Eat Now (that I’m fit)? – What can I eat now?